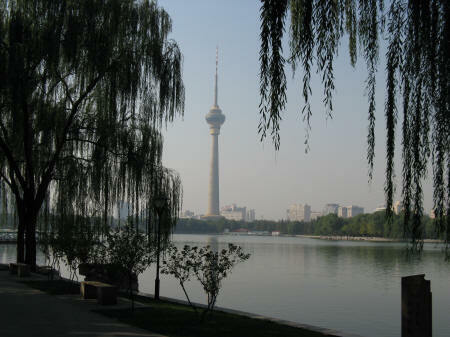 The CCTV Television Tower is located just west of Yuyuantan Park and a few kilometres west of the Forbidden city. Visitors can enjoy a panoramic view of Beijing China from the 238 meter high viewing platform. The CCTV Tower is the third largest tower in China and the sixth largest in the world. In addition to the viewing platforms, the CCTV tower features a revolving restaurant and a television museum (TV Cultural Gallery).